So with a review of the year already posted, it is time to look to the future year, and the possibilities for the body odor and halitosis community. Of course the big change over the last decade has been the internet, which almost makes anything possible. Together we can harnass the power of the internet to progress in the sphere of body odor and halitosis which has probably been a curse on humanity since the beginning of time (apparently the FMO3 enzyme along with the other detox enzymes would have been part of us when we were a primordial soup). With the potential of the internet, anything would seem possible in the search for cures. Also over the next decade, Gene Therapy is going to play a miraculous role in genetic disorders. The main question about a systemic body odor such as trimethylaminuria is ... has anyone seriously done anything to solve it ? The answer would be no. Partly because it is seen as a rarity, and partly because anyone who has had an interest in the subject probably only had a passing interest, and it has never really been of primary interest except at momentous moments (such as the ability to discover genes over the last decades). 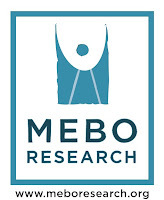 MeBO Research & The blog : MeBO hopes to be like a 'SWAT' team, either promoting small research itself or promoting research elsewhere, as well as coming up with ideas for campaigns etc. It hopes to be self-prophesising, in that the aims naturally develop due to momentum. The blog will continue to be a presence on the internet, raising awareness and acting as a contact point. The community : With the founding of bodyodorsupport.com, there is now a fixed official presence on the internet for the community. Hopefully it will be a place where ideas can be discussed, such as campaigns and petitions or whatever, for instance to influence poiticians. Meetups are also gathering pace, and this March there will be an attempt to hold a structured Body Odor and halitosis conference in Nashville. Experts will be contacted to see if they would do lectures over the internet, but if no expert helps, then it will be a big fun meetup. Perhaps someday the community could have a politician 'patron'. Some will be surprised to realise that this January will be the 2nd anniversary of the Conference Calls, begun by Cabel Hall in 2007. It is incredible to think that this lifeline is turning 2. And so what is possible over the next year ? Research : Hopefully some inroads can be made into research of body odor and halitosis. Particularly systemic body odor and halitosis, which are currently not accepted or widely known about. Probably an ideal goal would be an International Body Odor and Halitosis Research Center and clinic, since this would encompass all forms of B.O. and halitosis, and the researchers would then discover many are systemic. MeBO will continue small unofficial trials, in order to provide evidence and also to look for patterns. NORD TMAU Fund : With the backing of rrr-tmau.org, there is the real possibility that the NORD TMAU Fund could reach its target of $35K this year. It is unclear how the research is implemented, but it seems that reaching the $35K means NORD put out requests for proposals and also that millions of $ may then be available to the researchers. And so as the year draws to a close and a new decade begins, we can at least say there has never been a better time to have body odor and halitosis!